Tuesday 1st May. My dad was cremated today in Belfast. May he rest in peace and my thanks to everyone who organised the funeral and who showed their respect for him by attending. My night watch coincided with the time of the funeral and although I couldn’t be there, I could quietly think about dad sitting under the stars and under a brilliant moon that made the calm ocean seem like daylight. 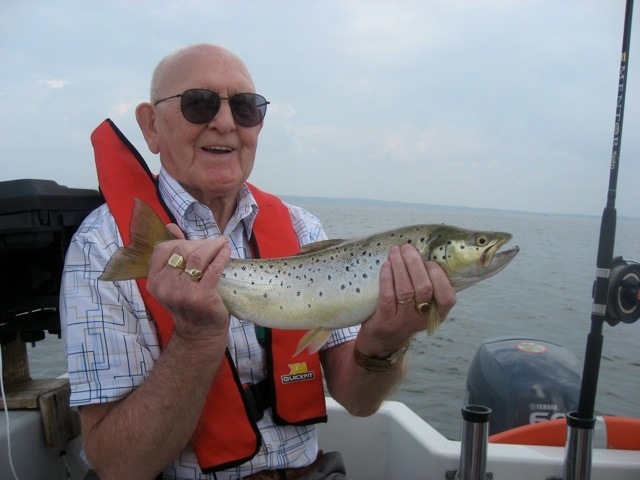 The photo is of Dad when we went fishing on Lough Neagh in Ulster on his 90th birthday. It was a lovely day out together before the party with the family and all his friends later that day. RIP.